From cameras to physical fitness gear, computers are getting attached to your body. 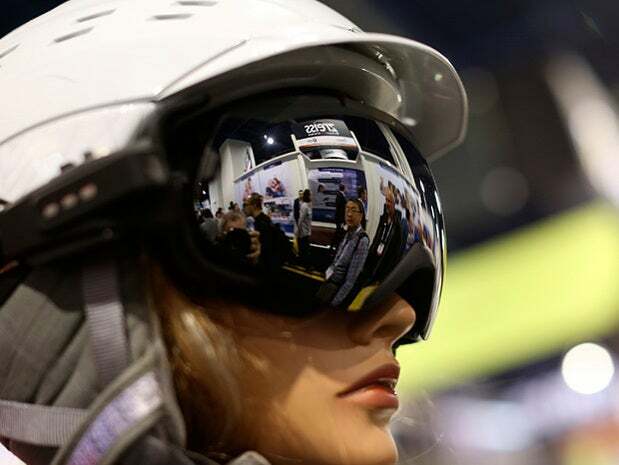 Some of the hottest new products at this year’s Computer Electronics Show were the plethora of wearable computing devices capable of telling you everything from your level of tooth brushing to calorie intake and more. Will they really be widely adopted? Who knows but they are interesting. Take a look. 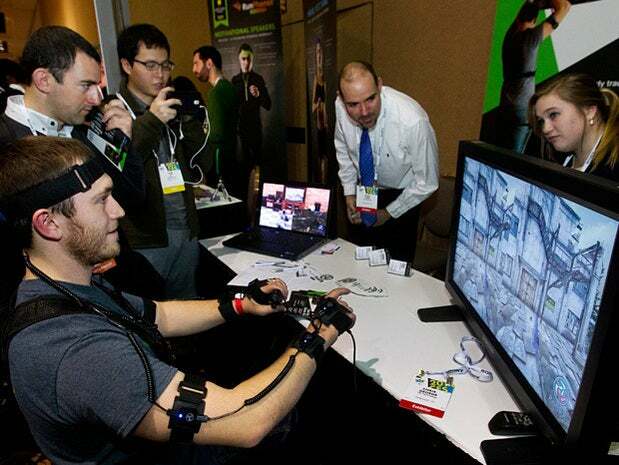 YEI Technology's Chris George plays a computer game with PrioVR, a virtual reality gaming accessory. Sensors on the player translate movement into the game. A full-body system retails for $400.00. The TAO Wellness Wellshell is a palm-sized device with an OLED display that operates using tilting, tapping, and pressing to activate its force and pressure sensors. Basically it offers the user isometric workout wherever they are. 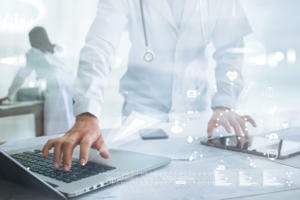 The device records your vital statistics (steps, miles, calorie intake, heart rate) and delivers them to your digital devices for analysis and display. The WellShell calibrates to your strength and monitors your heart rate while the Android-only app guides you through around 75 exercises using a gaming-style screen. 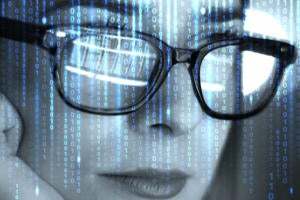 GlassUps are augmented-reality smart glasses that promise to address two problems with Google Glass: They make a slightly less nerdy fashion statement, and they place overlaid content closer to the center of your sight line, theoretically mitigating eyestrain, according to TechHive. Rosario Iannella, Qardio's Chief Information Officer, models a Quardiocore heart monitor. 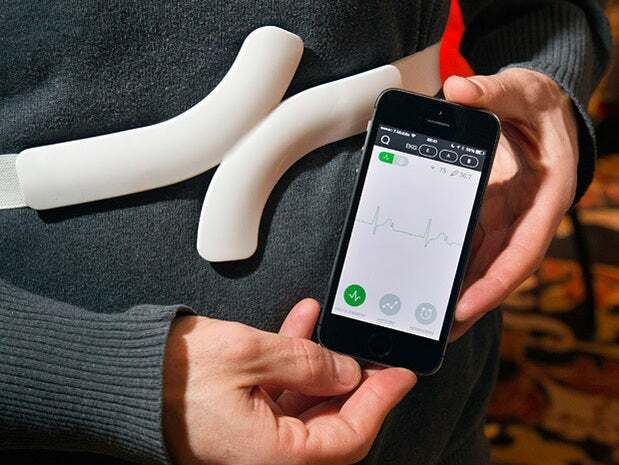 The device can send the electrocardiogram to a smartphone and the EKG can be forwarded to a physician for remote heart monitoring. The $449 device is expected in stores summer of 2014. 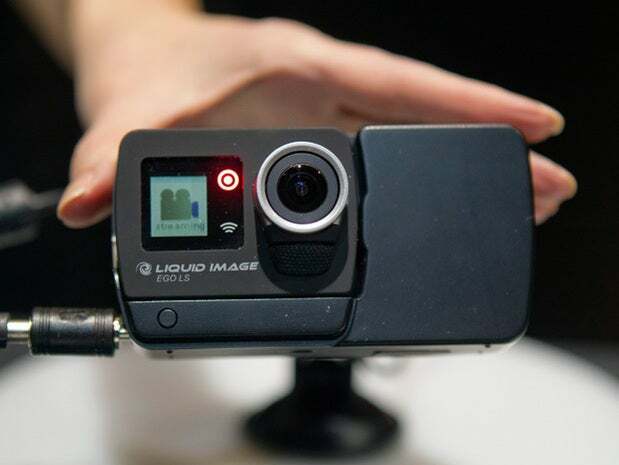 A Liquid Image wearable camera is paired with a 4G LTE module (R) during "CES Unveiled," a media preview event to the annual Consumer Electronics Show (CES), in Las Vegas. The camera and module combination make it the first wearable camera that can stream over LTE, a representative said. 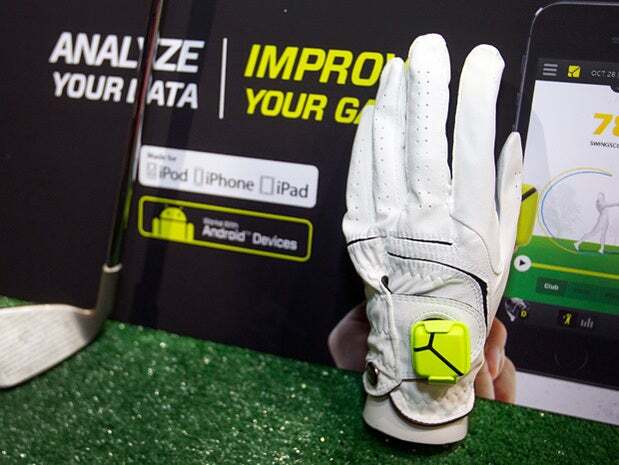 A Zepp sensor is shown on a golf glove. The sensors, available for golf, baseball and tennis, analyze 1,000 data points per second to create 3D representations of a player's swing, a representative said. The sensors retail for $149.99. 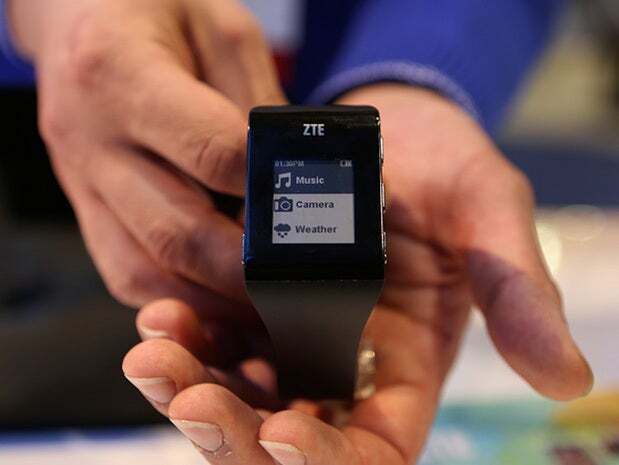 The ZTE Blue Watch wearable computer and camera device. 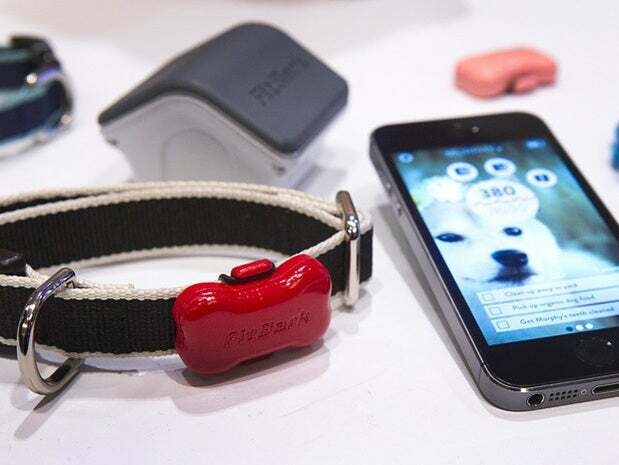 FitBark pet activity trackers use a 3D accelerometer sensor to track your pet's activity. The device retails for $99 and is expected in stores in the first quarter of 2014. 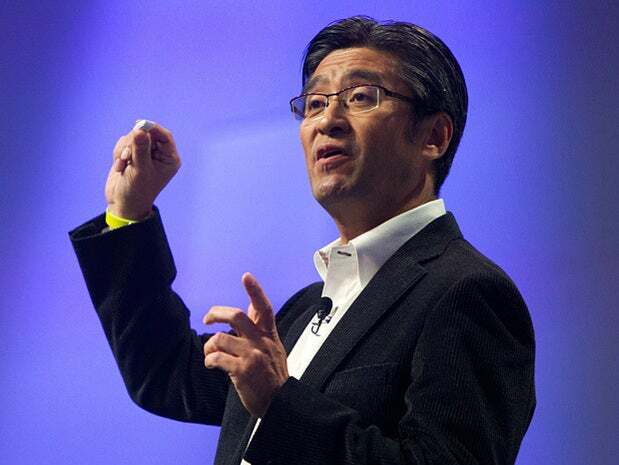 Kunimasa Suzuki, president and CEO of Sony Mobile Communications, holds a Sony Core. 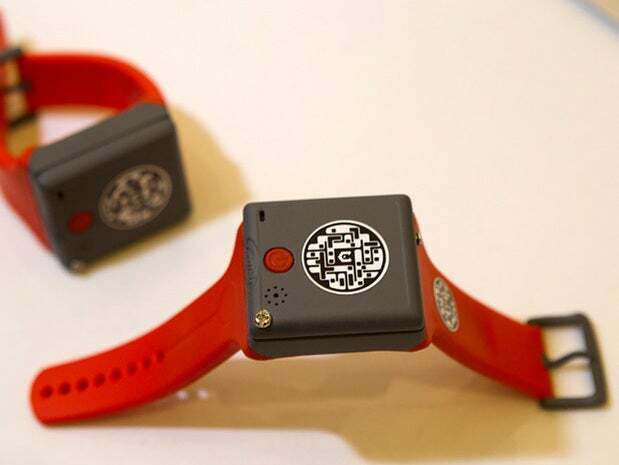 The wearable device will be able to record data about your activities and movement and display the information in a LifeLog app. 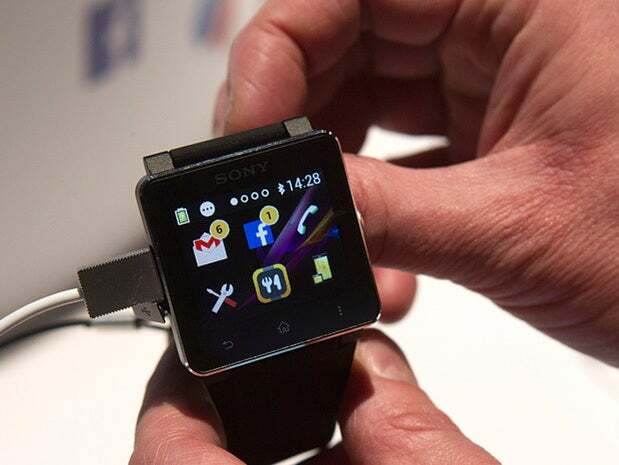 A Sony SmartWatch2 retails for $199.00. KMS Wristband phones for young children and the elderly. The wrist phone by British-based KMS Solutions will consecutively dial up to five phone numbers at the touch of one button until there is an answer. 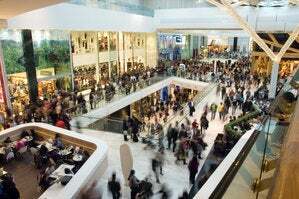 The phone can also send an alert if the wearer has left a pre-described area. 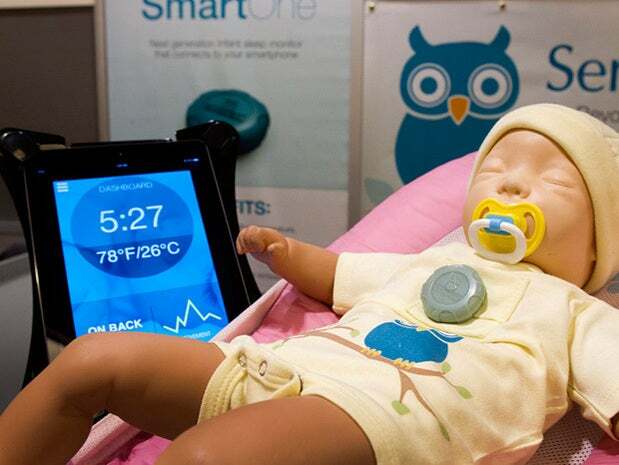 A SmartOne infant sleep monitor fits into a chest pocket, and sends information and active alerts on temperature, baby orientation and breathing to a parent's mobile device. 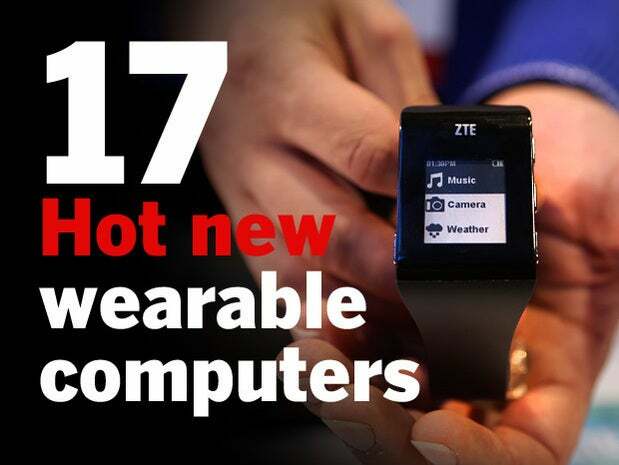 The device will retail for $149 and be available online in the second quarter of 2014. Liquid Image Apex HD camera goggles, capable of video and still photography. French firm Kolibree demonstrated its connected electric toothbrush at the CES trade show. The toothbrush tells users how well they are brushing their teeth via a smartphone app. Using Kolibree's product every brushing is recorded, and the data tells users if they have brushed long enough and cleaned hard-to-reach but important parts of their teeth and gums, according to Kolibree. The more people learn about their brushing habits, the faster they can do something to improve them, the company said. The toothbrush is connected via Bluetooth to a smartphone running Kolibree's app. There will be versions of the app for Apple's iPhones, the iPod Touch and Android-based smartphones such as the Samsung Galaxy S III and 4, according to Kolibree's website. Tarsier's MoveEye technology – packaged as a pair of eyeglasses - lets users reach out and manipulate icons, windows or images on a screen as if they're floating in the air. The initial work has been in 2D but at CES the tiny St. Paul, Minn., startup is demonstrating an improved 3D interface for MoveEye. The glasses have a built-in pair of stereoscopic cameras, sensors to detect the viewer's eye movements, and Wi-Fi to talk to the media box. MoveEye can be very precise in capturing hand and finger gestures through Tarsier’s algorithms and software. Pebble, one of the pioneers in the still-being-born smartwatch market, unveiled Pebble Steel, a “premium” smartwatch, in two models, that’s thinner and slightly smaller than the original, and announced the launch of an app store, with app categories for Daily, Remotes, Games, Notifications, Tools & Utilities, Fitness, Watchfaces. You can choose either a Black Matte or Brushed Stainless model, both of which come with two watchbands: metal and leather. 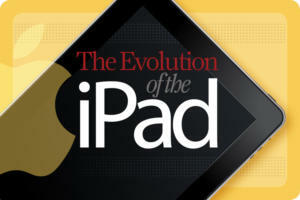 It will ship Jan. 28, both models priced at $249. Nuance is showing a port of its Dragon Mobile Assistant to Omate’s Android-based TrueSmart watch, finally letting you do more with the less of a smartwatch. You simply talk to your watch, and Dragon turns your words into inputs to make calls, send emails, create a text message, manage your calendar, search the web and much more.